The completion of the site fire brigade’s “Clean Working” project was marked by the commissioning of a container for clean turnout gear. What made this last stage of the project special is that the fitting-out of the container was designed and built entirely in-house. The fire brigade are proud of the result. “The container is a huge improvement. 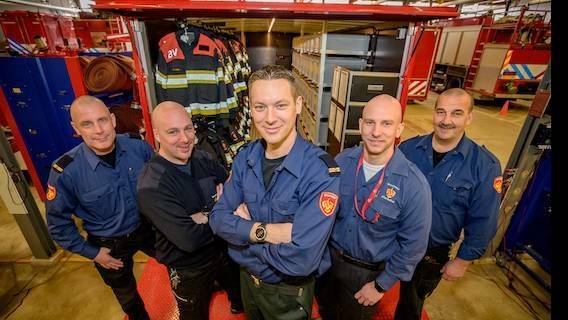 Previously, various members of the fire-fighting team had to ferry items to the scene of the incident – which meant they weren’t available for the actual deployment. 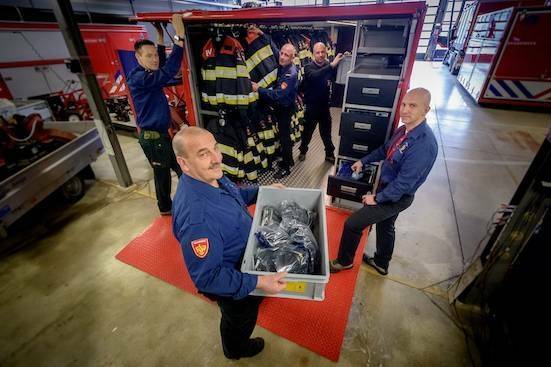 Since the equipment is now all ready to go, we can set down an entire store room close to the incident very quickly.” The site fire brigade will be increasingly using containers for logistical purposes, and the Sitech Safety Shop intends to use containers for strategic storage during turnarounds.